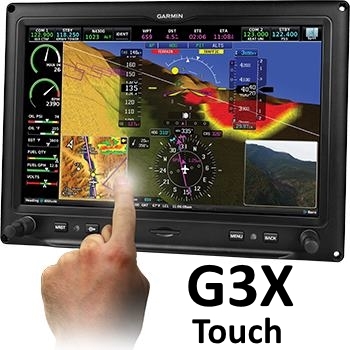 G3X Touch system with 10.6 display, built-in GPS navigation and all the other great standard features that go along with it. ADS-B Out compliant transponder paired with the GPS 20A (compliant ADS-B Out position source). Garmin Connext capability with Garmin Pilot flight planning software, Virb action cameras and more. Remote mount GTR 20 10W COM with built-in stereo intercom, auto-squelch and 3D audio.